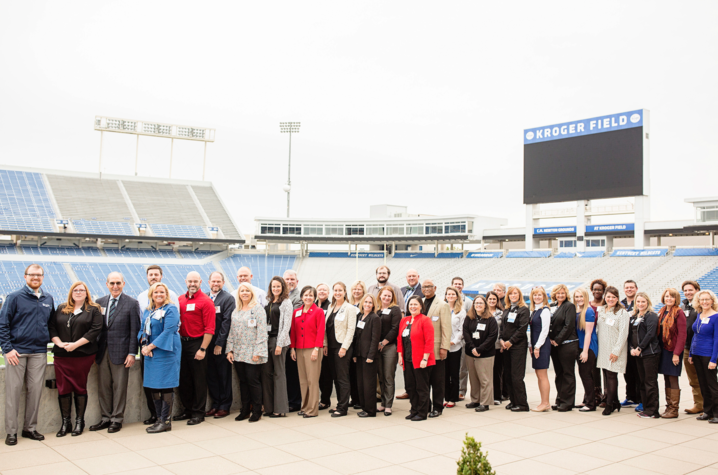 LEXINGTON, Ky. (Oct. 23, 2018) ― More than 90 University of Kentucky staff members were honored last Tuesday by their colleges and divisions during the 2018 Outstanding Staff Awards (OSA) recognition ceremony. Sponsored by the the President's Office and UK Staff Senate, this is the ninth year for the event. The Outstanding Staff Awards recognize staff members that have been given an award within their department on a university level. Over 150 people were in attendance to honor those who received awards. Among them were UK President Eli Capilouto, Vice Provost Larry Holloway, Associate Provost for Student and Academic Life Greg Heileman, Vice President of Human Resources Kim Wilson, UK Board of Trustees member Robert Grossman, Dean Rudolph Buchheit, Dean Janie Heath, Dean Kip Guy, UK Board of Trustees member Dave Melanson, Staff Senate Chair Jon Gent and Senate Council Vice Chair Jennifer Osterhage. In addition to the 90 honorees recognized, a new award was introduced this year, the Outstanding Staff Award. This award was presented to one deserving university staff member who represents everything that is great about the university. 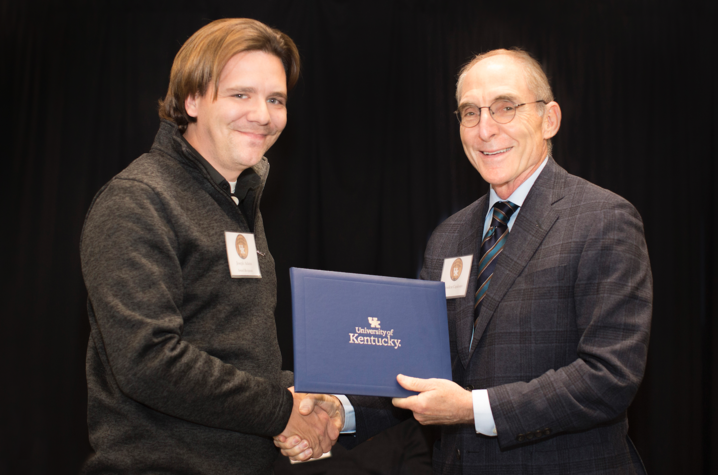 This year's recipient was Joseph Adams, a medical laboratory technician at UK HealthCare (UKHC) - Georgetown. "The most rewarding part of my job is providing direct patient care. I love interacting with the diverse patient population we serve at UK HealthCare; hearing their individual stories, goals, triumphs and struggles, making sure they know they have my full attention and support and giving each patient a positive attitude and a smile," Adams said. After hearing news that a regular patient at the clinic had been in a car accident leaving his car totaled with no money to get it fixed and no way to commute to the facility, Adams knew something had to be done. He searched around and found that a friend had a car that they were willing to donate. Adams bought a battery for the car out of his own pocket and did some minor work on the vehicle. The family was ecstatic when they found out what Adams had done. "Over the past several days I have experienced many different emotions having been selected as the first ever Outstanding Staff Award recipient," Adams said. "Humbled because it is amazing that one act of kindness could draw so much attention and I was able to impact a patient’s life in a positive way. 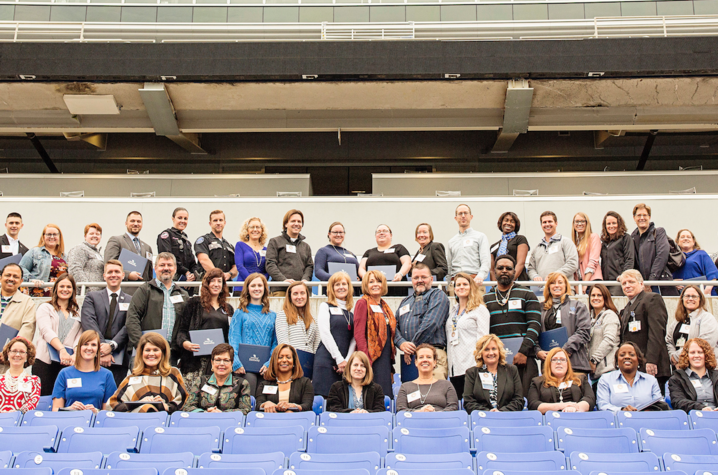 Honored I was able to represent UKHC - Georgetown and the UKHC Clinical Laboratory. It is my hope that this award initiates a shift in the culture at UK that we may all take the time to recognize each other for the tremendous jobs we do every day across the entire institution." Adams has worked at the university since 2014 and is approaching his five-year anniversary. After receiving a standing ovation at the award ceremony last Tuesday, it is easy to see why Adams was the recipient of this award. The 90 OSA winners represented over 40 colleges and administrative units across the university. UK's respiratory care team was also recognized for winning the Quilt of Teamwork Award for Nursing Support, along with student and faculty nominated finalists, and the social media award finalist. For more information on Staff Senate, visit their website.